Today I received a copy of this beautiful book which I had won on eBay. 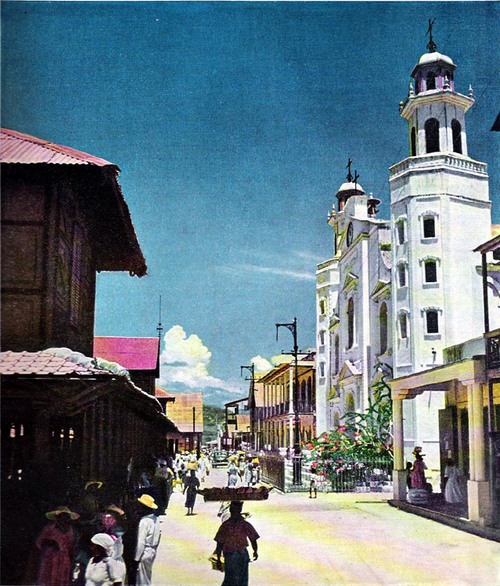 As you can see, it is not in perfect condition, but it is more than 55 years old, and was printed in Haiti. 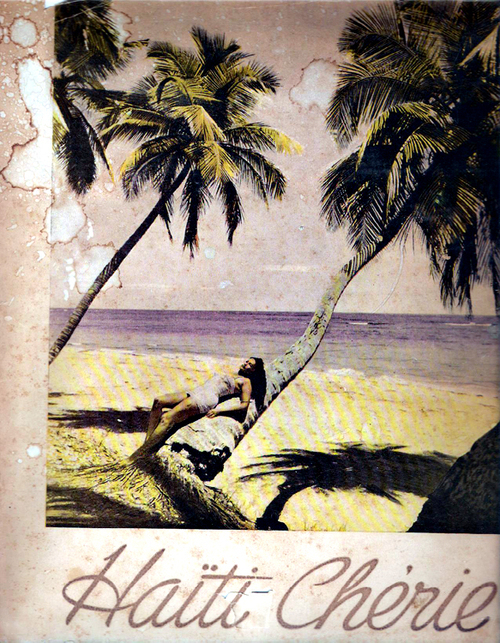 It is a collection of photos taken by a Frenchman in the early 1950's, along with an essay on the island written in French and translated in English alongside. There is a photo portrait in the beginning of the book of the president of Haiti at that time, Paul Magliore, who was replaced in 1956 by a man who then appointed himself president for life, the dictator Francois "Papa Doc" Duvalier. The book is part of the research I have been assembling for the last several years as I have been working to develop a film from a remarkable book by a remarkable woman: The Dew Breaker by Haitian author Edwidge Danticat. I'll write more about this project in the future, but today I wanted to share these images to set the stage. Here is a photo of the town of Jacmel, one of the locations in The Dew Breaker. 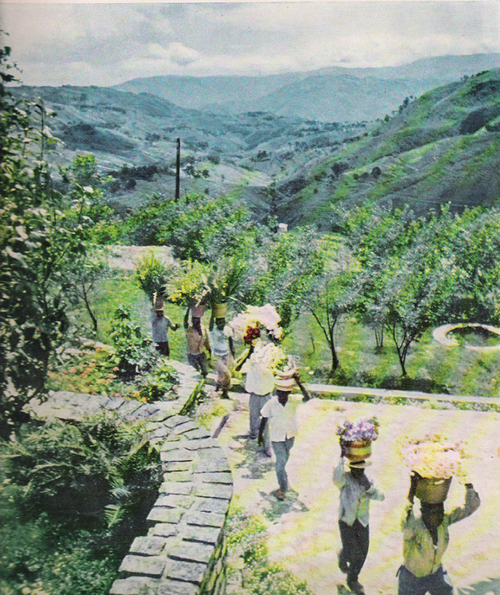 Here are workers delivering flowers to the market. 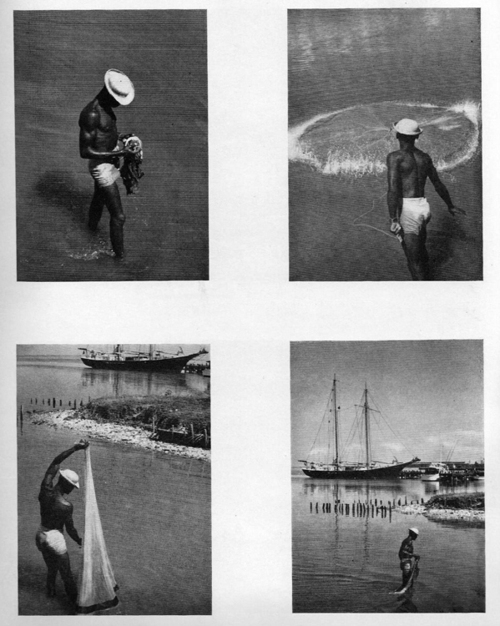 And here is a beautiful series of black and white images of a Haitian fisherman casting his net. As Martin Scorcese talks about in commentary on the making of "Raging Bull", every film needs a Master Image that becomes the visual key to the style and tone of the movie. I don't know if any of these striking images will ultimately inform our British director Dominic Savage as he starts to design the landscape of this movie in his mind, but I hope they excite and fascinate you as they do me.